Relax in this wonderful lodge in the heart of Queulat National Park whilst enjoying half-day excursions to the nearby sights. 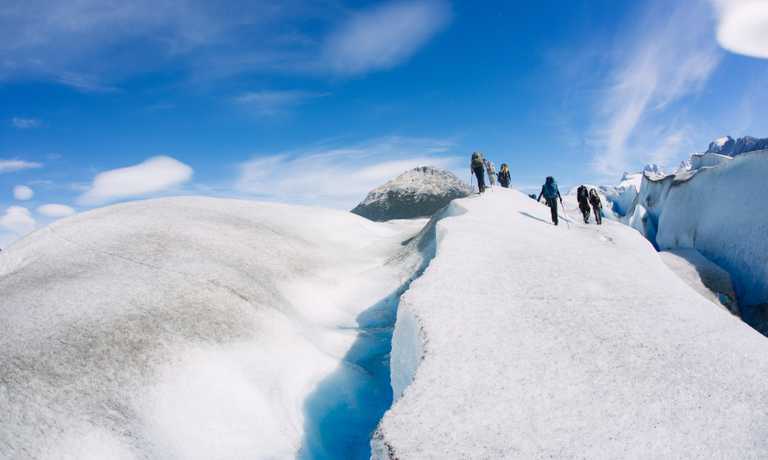 You will choose your excursions based on the ability of the group, opportunities to visit the enchanted forest and the hanging glacier, returning to comfort at the lodge every evening. Flight from Santiago to Balmaceda. Short reception in Balmaceda airport before a drive to Coyhaique and onwards to the Queulat Park, on the Carretera Austral. This will take approximately 4 hours, when you will arrive at the Posada Queulat Lodge. Settle into your room; enjoy a short walk around the cabins to the outflow of the Queulat River, Dinner. There will also be a short meeting to receive information on the area and next days excursions. Relax completely with absolute no human noise from the surroundings. You will choose a day trip on each day that suits your desire and ability. 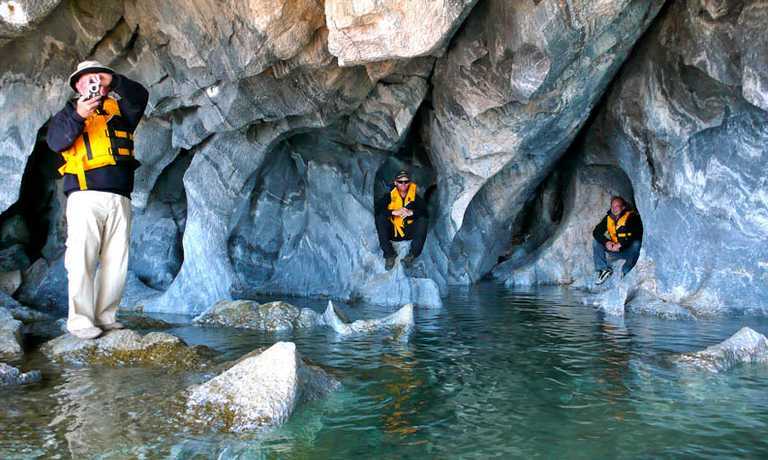 On all of the excursions, you will have the opportunity to experience the wonders of this national park. See below for details of the different excursions. Day 4: Depart Drive back to Coyhaique or Balmaceda and lunch. 2. Continuation to Futaleufu, 226 Km, approx 5 hours. First, there is a drive southward a steep slope with 33 curves and amazing views of the park. After 22 kilometers (30 minutes drive) is the beginning of the trail Bosque Encantado. The trail first crosses a natural moss and lichens garden, between old and beautiful trees, the experience is unique since there are not many such forests in the world and even less that can be approached by car. Later the trail starts climbing, reaching 631m. When hikers finally reach the timber line the trail continues through a rocky landscape with no vegetation until a viewpoint of the glacier and lagoon. The excursion is 3 hours long plus one hour round trip drive from the lodge. It requires a good physical condition and we highly recommend the hot springs afterwards. Navigation is on a cypress boat 8.6 meters long, starting from the lodge on the Queulat fjord to the Poya Huapi or Mona Island. The island has 3 beaches and a fantastic view of the hanging glacier. While on the fjord it might be possible to see Toninas (Austral dolphins), sea birds and sea wolves. 3. 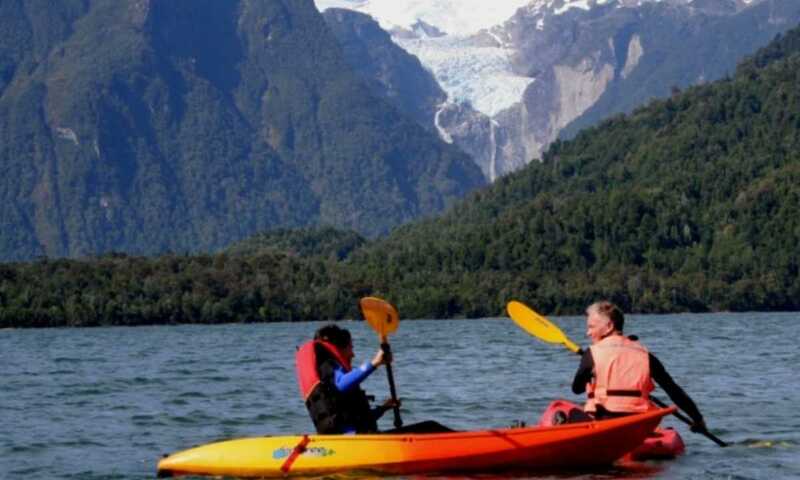 Sea Kayak excursion on the Queulat Fjord The circuit includes a gentle kayak on the Queulat River all the way to the sea. Afterwards, the excursion follows the border of the fjord for about 2.5 km, stopping at beautiful sandy beaches, enjoying the clear and pure waters of the fjord. Both options are a very relaxing experience especially when enjoyed after a hard hike. Ventisqueros Hot Spring is by the road, but to reach the Puyuhuapi Hot Springs it is necessary to cross the Puyuhuapi sound by a scheduled boat (spa and massages are not included in the price). 3. Cascada Vida Salvaje (wildlife waterfall) hike The waterfall viewpoint is 120 meters high and reached by a trail crossing the forest. During the hike, you may have the chance to see the curious Chucao, Hued Hued and Rayaditos. The trail crosses an Arrayan cove where guests are welcome to hug these trees with cool bark. The excursion is easy to the foot of the waterfall and average difficulty to the different view points. The full circuit is 3 hours long reaching the highest viewpoint and then descending to the white beaches on the fiord and the shore of the Queulat River. This trip can run as a group trip, with prices starting from $1,610 per person for a complete group. If you are looking to join a group or you are a solo traveller we will help to form likeminded groups of travellers. Please let us know your travel plans. Departures can be set up on a date of your choice from November until March. All prices indicated include private transfers. USD $1610 per person, based on a group of 2-3 people. USD $1260 per person, based on a group of 4-5 people. USD $1145 per person, based on a group of 6-7 people. USD $1085 per person, based on a group of 8-9 people. USD $1050 per person, based on a group of 10+ people. USD $1225 per person, based on a group of 2-3 people. USD $1070 per person, based on a group of 4+ people.